The capital of Belarus, Minsk, may be considered the city of museums. It has dozens of them, and to visit at least half of the museums in Minsk, you have to stay here for at least a couple of weeks. To facilitate the task for city visitors, we list the most interesting museums that you can explore over a long, but very interesting walk. If you are interested in Belarusian traditions and architecture, you should start your way outside of Minsk, in the village of Ozertso. Here you can find an open-air museum Strochitsa devoted to folk architecture and everyday life of people, who lived here centuries ago. 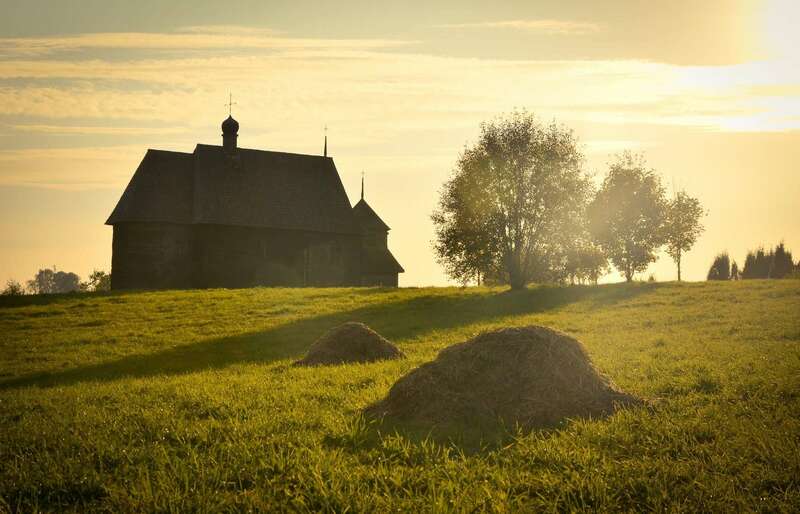 In this place, you can feel the national Belarusian character and plunge into the ancient life of the Slavs, and to see the yards of different regions of the country: Central Belarus, Dnieper, Poozerie, Neman and Polesie regions. The territory of the museum is very large, here you can spend the whole day: ride a boat or a horse in summer, then arrange a picnic or relax in an alcove. Cognitive and interactive excursions, interesting quests and games, training master classes, hang-gliding flights are conducted for visitors on the museum territory. Interesting fact: the tavern on the territory of museum is more than 200 years old. Do not miss the opportunity to taste the dishes of national Belarusian cuisine in the oldest restaurant of the country! 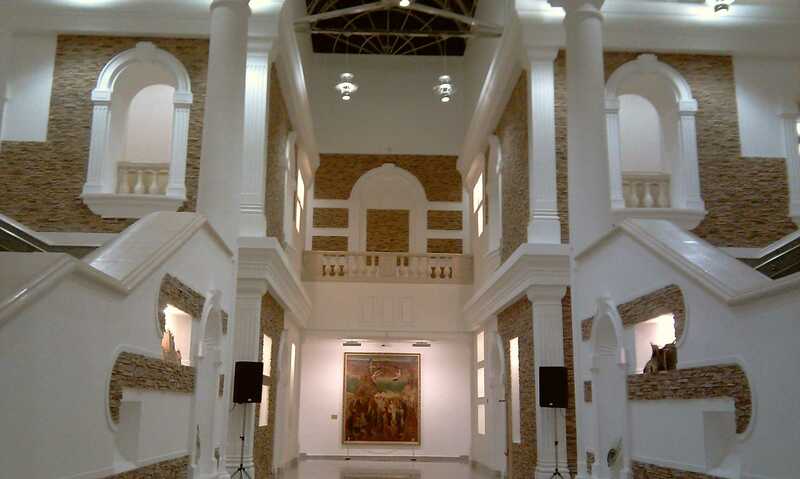 After that, art lovers should definitely pop into the National Arts Museum. It gathers hundreds of important paintings and art works of Belarusian artists and sculptors. The museum often hosts famous temporary exhibitions. There is a library, a cinema club (in summer, outdoor films are shown), a lecture hall, a children's art studio and an art cafe in the museum. Walking in the Victory Park, you can visit the Great Patriotic War Museum (Second World War on the territory of former Soviet Union is usually called Great Patriotic War). Its building is no less original in style than the famous Minsk library. One of the main advantages of the Museum of the Second World War is a whole series of historical episodes, presented in the form of live scenes. 10 museum exposition halls show the chronology of events: from the beginning of hostilities to the complete Victory over fascism. The Victory Hall is the crown of the exposition, the names of the Heroes of the Soviet Union are immortalized in it. Interesting fact: today, the museum funds have more than 141 thousand exhibits. A perfect museum to rest is the Brewing Museum on Kiselyova street. Here you can observe the preparation of this drink, learn its history, and drink a couple of glasses of different kinds of beers at the end of the tour. You can see all the museums in Minsk mentioned in the article on the map in the end. Any tourist will be attracted by the original form of a building on the Independence Avenue - this is the National Library. It houses the Museum of the Book, where the number of exhibits has reached 70 thousand, the main ones are the Gospels of Peter Mstislavets and the Bible of Francis Skaryna, first person to print a book in the Eastern Europe, as well as about four hundred ancient manuscripts. On different floors of the library, you can relax in cozy cafes, admire the panorama of the city, book an excursion, visit art exhibitions. And on the roof of the building, there is a viewpoint with an excellent view of the center of Minsk, be sure to visit it in a good weather! Tourists who are interested in aircraft should definitely visit the Aircraft Museum at Borovaya aerodrome, near Minsk. Here you can see about thirty different aircrafts and even climb up to them in the cab. Travelers-extremals have the opportunity to jump with a parachute at the airfield in Borovaya (many foreigners do that due to absolutely different experience and much lower prices comparing to Europe and the US). Returning to Minsk, we will take a walk through the Belarusian Cinema History Museum. Here, you can see a film or a retrospective, and learn all the smallest details of the history of the development of the country's film industry. There is an exhibition hall here, which regularly hosts personal or collective exhibitions related to the cinema or the Belarusian fine arts. Interesting fact: the opening of the museum was timed to the 40th anniversary of the first Belarusian film "Lesnaya Byl". The house-museum was built in the style of classicism in the late 18th century and is a monument of the palace and estate architecture of this time. This is the former house of the Vankovichi noble family. Now, it hosts a museum with a unique collection of a manor drawings, archival documents, photographs, works of painting and arts and crafts. 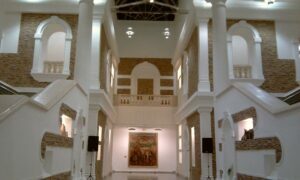 This house-museum will be also interesting to music lovers: concerts of romances and chamber music are held in the evenings. 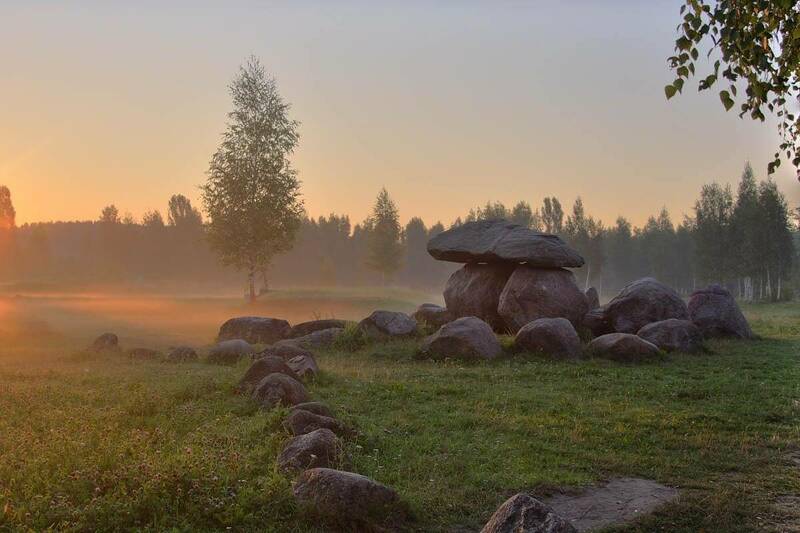 In the weekend you can relax on the outskirts of the city, visiting a unique museum of stones, in which more than two hundred boulders of various types, sizes and purposes are collected. All of them, together with the growing trees and bushes, are laid out in the form of a map of Belarus. Interesting is the fact that boulders, brought from the locality they designate, were used to designate an elevation. After seeing all the exhibits and a photo session near the boulders, you can also arrange a picnic in the open air. If you are not tired yet, you can visit the historical museum, which is located in the heart of Minsk. Here you can see first hand the most diverse items that represent all the epochs of the Belarusian society development history. The expositions "Ancient Belarus: the primeval epoch and the Middle Ages", "The ancient heraldry of Belarus", "From the history of weapons", "Old city life" and others are open to visit. The branch of the historical museum is the House-Museum of the First Congress of the RSDLP, which you can find on the bank of the Svisloch River, near Victory Square. It was our list of Top 10 museums in Minsk that you definitely need to visit. Minsk has great museums and the prices are very low comparing to most of the neighboring countries and the rest of Europe. Have a nice trip!